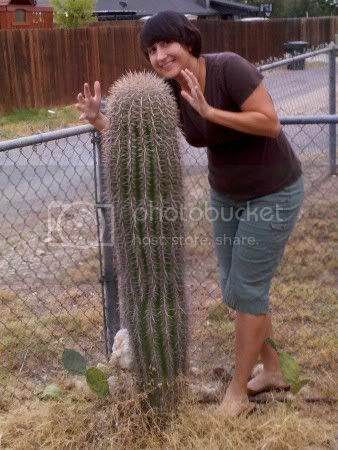 I went back to Texas for another visit a few weeks ago and got a chance to check up on the saguaro in my parent's backyard. 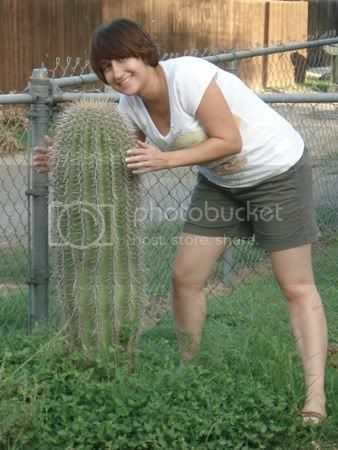 My how it's grown! 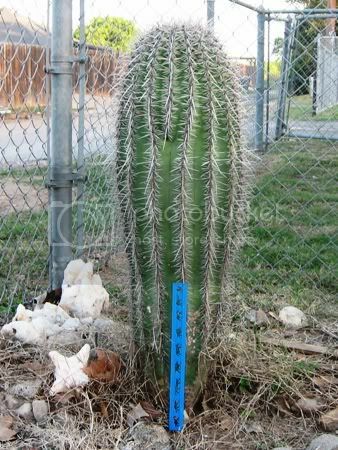 Looks to me like it's grown at least a foot, maybe even a foot and a half. I guess the weather in Texas is agreeing with it! I was cruising Simplicity's costume patterns today and squealed like a little girl when I saw this pattern. 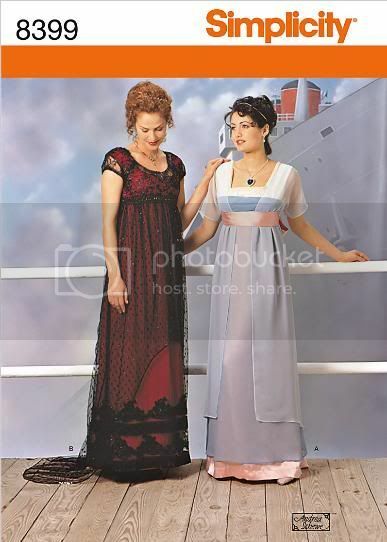 Simplicity 8399, Misses Titanic Inspired Costume, was originally released after the Titanic movie came out in the late 1990s. I remember wanting to make the red dress for prom but at that point it was way beyond my skill level. The pattern went out of print so by the time I got back in to costuming, it was no longer available. I wasn't going to let the opportunity to get this pattern pass me by again, so I bought it immediately. It would be great to make it for Halloween this year though I'm not sure I'll have the time. Even if I don't, I'll still have the pattern for when I do find the time! According to Simplicity.com, this pattern is only available on their website, so don't go to the fabric store and expect to find it. It's being reissued for the "100th anniversary of the Titanic." So the anniversary of its sinking, I guess? A bit morbid but I'm not complaining! 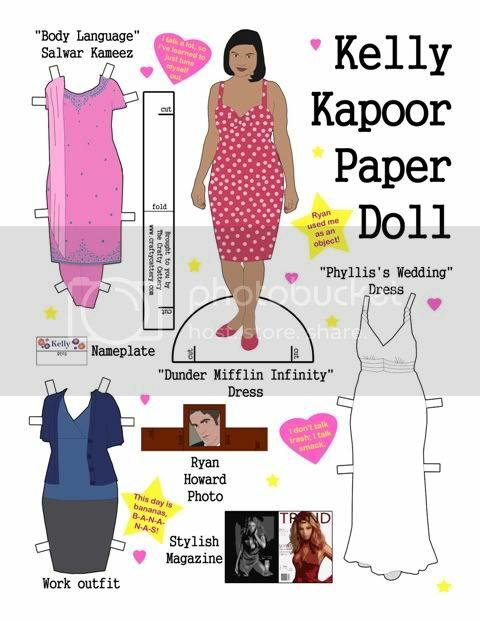 The stylish Kelly Kapoor (played by Mindy Kaling) is my favorite character from the US version of The Office and I am so happy that I finally got around to making a paper doll of her. She comes wearing the pink polka dot dress from the episode "Dunder Mifflin Infinity" (Kelly to Ryan: "Well, I hope you're still committed because I'm pregnant and guess what buddy, I am keeping it!"). Her additional outfits are a blue and gray work outfit, the white dress she wore to Phyllis's wedding ("I look really good in white") and the pink salwar kameez she wore when applying for the minority executive training program in "Body Language." Her accessories are a framed photo of Ryan Bailey Howard, a stylish magazine and the customized nameplate she got from Stanley in "Christmas Party." All you need to do to get the doll is click on the link to open the PDF, print it on heavyweight paper, cut everything out (you might want to use an X-acto knife to get the fine details) and enjoy! I've also made dolls of Michael, Dwight, Pam, Jim and Creed - you can find them here.